As I mentioned two weeks ago, sometimes past memories bubble up and explode into my consciousness. That process has happened again, only this time it was not a memory: it was A New Beginning…. Having worked everything through in my mind, the time has come to complete what began long ago. One last time my “Ancient Eyes” peer into the dark cavernous cave in my mind, seeking to illuminate the path that culminates with “The End of Time.” As 2013 dwindles, my optimism grows and the feeling that I’ve been here before engulfs me. For now, I depart on my journey to complete this project before the walls tumble down and I forget where I began…. What if? That’s the question that Robert Shea and Robert Anton Wilson asked each other nearly 40 years ago. 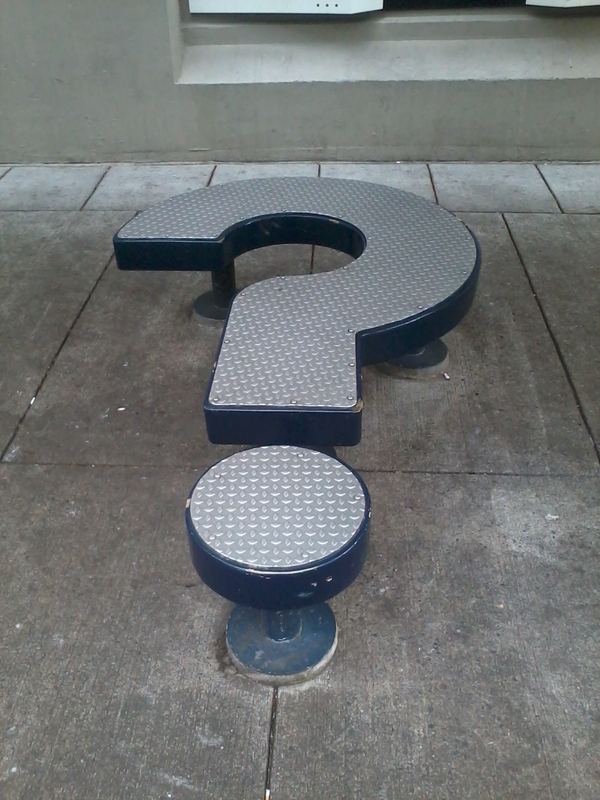 It’s also the question that every writer asks themselves. The place where every story begins. My collection of poetry came into being, because one day I was bored and I asked myself: What if I wrote a poem? That, of course, led me to then ask myself: What if I wrote a collection of poetry? Soon after, I asked myself: What if the collection was linked by a theme and included a recurring enigma from Shea and Wilson’s book? By asking those questions, and then putting them into action, this blog came into existence. As for Shea and Wilson, they were both editors for a prominent American magazine. As part of their jobs they dealt with letters from the public on civil liberties, many of which involved paranoid rants about imagined conspiracies. One day the pair of editors asked each other: What if all these nuts are right? The answer to that question, of course, was there would be a great story in it. By asking themselves that question, Shea and Wilson came up with the idea for their Illuminatus! Trilogy, the first book of which is The Eye in the Pyramid. As you can imagine from the back story, The Eye in the Pyramid is a very strange book. I found it to be entertaining, but it’s definitely not for everyone. I’ve even heard that a few people, forgetting that fiction is just make believe, have become paranoid conspiracy theorists themselves after reading the book. As for me, I’m not much of a conspiracy theorist. In a fictional sense, conspiracies are fun to read and write about. In reality, though, most conspiracy theories lack those pesky things called evidence and facts. The main reason why I chose this book, is that I love the back story. In the end, I suppose this blog has been all about asking the question: What if? Of course it doesn’t hurt that the book delves into the 23 enigma, which if you haven’t guessed yet is the enigma that I reference previously. I paid homage to the enigma by alluding to it 23 times throughout this blog (not including today). Some references were obvious while others were quite obscure (standing in front of the 23 room Pittock Mansion in the photo for “My Children“). With my influences complete, my efforts now turn to finishing A New Beginning… I have a good start, but there is more work ahead of me. There are only 79 days until the end of the year. I have a new project to begin in 2014, so I had better finish this one soon. Before I take a break for awhile, I have one last post for next week. I hope you’ll be back to read it. For now, I thank everyone who has read my work. Given all of the hints that I have dropped, this one should come as no surprise. Not reaching the top spot, though, may come as as surprise. Of course, those recurring numbers have to count for something…. Like my last post, the story of this selection began long ago. Specifically, the story begins in a log cabin perched atop a rock cliff overlooking the farmlands of the high desert with Black Butte and the Cascade Mountains looming in the distance. It was there, in that cabin, that my father helped me select the last class that would inevitably complete my schedule for my first semester of high school. That class was Introduction to Journalism, and it lead me on a path that brought me to this very moment in time. Along the way I have learned much, and forgotten even more. Even my forgotten memories, though, are not lost. Like bubbles surfacing from an active geyser, they trickle into my consciousness from time to time clearing the way for an inevitable explosion of past memories. My father is there, old friends and co-workers are there too, along with conversations long forgotten. One such conversation that has surfaced once again came in the dark and cramped office of a college newspaper. Our managing editor, an old reporter from the daily newspaper in Bend, Oregon, had brought in one of his old co-workers to talk with the staff about the newspaper industry. I don’t remember all of what he said, but one point stands out clearly in my mind. One of my fellow staff members asked him about the best way to become a writer. He responded saying that anyone can learn to write. The real trick, he said, was learning about the world. I believe that it is through this understanding of the world that a writer finds his or her voice. Without a voice, you might as well write ad copy, because money will be the only thing that you can hope to gain from your writing. Don’t get me wrong, you can do a lot of things with money. You just can’t find yourself in it. When it comes to writers with a voice, you would be hard-pressed to not to include Hunter S. Thompson on the list. Love or hate him, Thompson definitely had a voice. That voice landed his book, The Rum Diary, as number two on my literary influences list. One of my favorite lines from The Rum Diary comes on page 51 of the novel: “I felt for the first time in my life that I might get a chance to affect the course of things instead of merely observing them.” That line is followed closely by another of my favorites: “I began to see a new dimension in everything that happened.” Definitely great lines. I too hope to affect the course of things instead of merely observing them. I suppose everyone does. To truly influence the world, though, I imagine we should follow Paul Kemp’s words and look for the different dimensions in the things that happen around us.